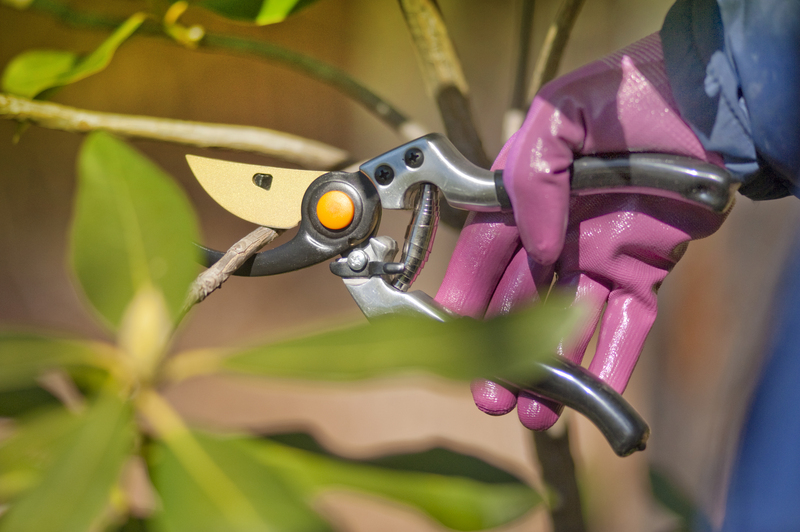 Pruning your plants, shrubs, and trees is an essential part of the gardening process. It helps to promote healthy growth, remove diseased or dead growth, and control size. When it’s time to start pruning your plant, you first need to determine if there are any diseased or dead spots. Dead stems and canes can attract insects and invite diseases to develop. It is also recommended to remove crossing branches so that the plant can grow to its full potential. However, on certain plants it is not necessary to prune old wood. Hydrangeas – Most types of hydrangeas – such as pink, blue, or white – bloom on old wood. Prune these types of hydrangeas before midsummer. You can also prune hydrangeas after their blooming season to control the plant’s height. Spring-Flowering Trees & Shrubs – Early spring bloomers such as lilac, forsynthia, and azalea bear flowers on wood formed the previous year. The best time to prune these flowering shrubs is in late spring after they finish blooming. To keep spring bloomers flowering vigorously, prune some of the oldest shoots all the way to the ground. This allows younger stems to thrive and bloom. Summer-Blooming Trees & Shrubs – Plants that bloom in summer, such as butterfly bush and crape myrtle, produce their flowers on new growth from the current season. It is suggested to prune these plants in the winter while they’re dormant, or in early spring just before they produce new growth. Use a pole pruner to easily prune taller trees. Roses – Treat climbers and shrub roses that only bloom once per year the same as you would other spring-blooming shrubs: prune after they finish blooming. Roses that repeat bloom such as hybrid teas, floribundas, grandifloras, and miniatures are pruned mostly to shape the plant or remove dead or damaged canes. If they become overgrown, cut them back in early spring. Perennial Flowers – Most flowering perennials look best when faded flowers are removed. This is called deadheading. This helps to encourage the plant to produce another cycle of blooms. If your flowering perennials become too tall or leggy, or flop open in the middle, try pruning them back to 6-12 inches above the ground. Proper pruning is best done with the proper tools. Try investing in a pair of gloves to protect your hands from thorns. A quality pair of pruners is also very important. 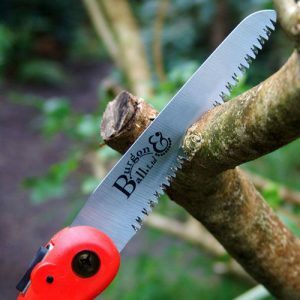 Keeping your pruners sharp and stored properly will allow for many seasons of use.